Just stating 'dermatologically tested' does not mean a great deal. Dermatological tests are carried out to find out whether the skin tolerates a cosmetic end product. It is relevant for the user to know what the content and result of dermatological testing are. Grimas has each of its products dermatologically tested and publishes the content and result of the test on its website. You can find this information in the 'Product information' under 'Dermatological declaration'. 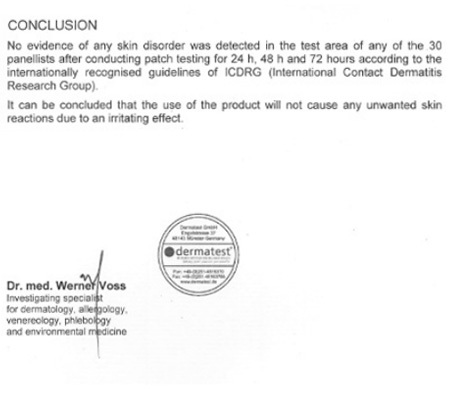 Nevertheless, irritation or allergy cannot be excluded on the basis of dermatological testing. After all, an allergic reaction is an individual response. Stress may also play a part. Stress affects the resistance and makes someone more susceptible to an allergic reaction. Work hygienically and do not tax the skin by shaving right before applying makeup or by frequent use of cleaning wipes (which have to contain a lot of preservatives because of their moisture content).